World-renowned Grammy Award winning DJ/producer Diplo will host his newest live, curated event, Diplo Presents The Super Mega Ultra Giant Mad Decent Block Party Festival, Saturday, July 20 and Sunday, July 21 at Gillette Stadium in Foxborough, Mass. This massive music and entertainment festival is the only MDBP event in North America this year. MDBP Fest will feature three music stages — The Block Party Stage, located on the Gillette Stadium field, The Super Mega Stage, and the Giant Ultra Stage — with performances from Billie Eilish, Major Lazer, G-Eazy, Miguel, A Boogie Wit Da Hoodie, Dillon Francis, Rezz, and many more. MDBP Fest will also feature a number of activities, games, and activations, including The World’s Largest Bounce House, go karts, and paintball throughout the Gillette Stadium and Patriot Place campus. Tickets go on sale Friday, April 12 at 10:00 am ET – HERE Please note: Parking in the Gillette Stadium event lots is included in the price of admission for all general admission and VIP tickets. The music lineup for Diplo Presents MDBP Fest is as follows (subject to change): Billie Eilish, Major Lazer, G-Eazy, Miguel, A Boogie Wit Da Hoodie, Dillon Francis, Kodak Black, Quinn XCII, Rezz, RL Grime, Zeds Dead, Flosstradamus, Pusha T, TroyBoi, Baauer, Ekali, Finneas, Jessie Reyez, J.I.D., Pink Sweat$, Whethan, 99 Neighbors, Ape Drums, Armani White, Baby Goth, Black Caviar, City Girls, Dounia, EarthGang, GothBoiClique, Grandtheft, Herizen, Jimmy Edgar, Jpegmafia, Lee Foss, Leven Kali, Poppy, Ripmattblack, Saint Jhn, YBN Cordae, Yookie, and Yung Gravy. THE WORLD’S BIGGEST BOUNCE HOUSE: Prepare to kick off your sneakers and release your inner 6-year-old in The World’s Biggest Bounce House. Making its festival debut at MDBP Fest, Big Bounce America brings its 10,000-square-foot, candy-colored wonderland to the party. This inflatable paradise has room for 200 people and features giant sized ball pits, climbing towers, slides, obstacle courses, and basketball hoops, with a fully-equipped stage and DJ booth located right in the very center of it all. K1 SPEED GO KARTS: Brought to you by K1 Speed, prepare to buckle up and fly around the Gillette Stadium campus on an official K1 Go Kart track. Helmets, shoes, and a need for speed are required. PAINTBALL: Who doesn’t like a good game of paintball to round out their festival experience? Come and compete against your friends and fellow festivalgoers in MDPB’s paintball course, brought to you by Team Dynasty. For those looking for a more lavish experience, a number of VIP ticketing options will be available for purchase. For information on all ticketing options, including private table and bottle service VIP packages, please visit www.MDBPFest.com. Attendees must be at least 18 years of age to enter the VIP area, and at least 21 for table service. MDBP Fest VIP Lounge tickets include: One VIP admission ticket to MDBP Fest (parking included); expedited entry through the dedicated VIP entrance; an RFID VIP wristband; and access to the MDBP Fest VIP Lounges (located at both main stages) which includes: exclusive views of the main stages, comfortable areas to hang out and relax, charging stations, a premium VIP bar, private restrooms, and convenient food options available for purchase. Private Table Bottle Service For 10 VIP packages include: 10 VIP admission tickets to MDBP Fest (parking included); expedited entry through the dedicated VIP entrance; an RFID VIP wristband; a lavishly furnished private table located on an elevated viewing platform for either the Super Mega Stage or the Ultra Giant Stage with a dedicated VIP cocktail waitstaff, two bottles with select mixers and one bottle of champagne; one luxury suite for the entire group located inside Gillette Stadium featuring: the best views of the Block Party Stage, premium in-suite catering options, private entry into Gillette Stadium, and exclusive access to lounges; a complimentary skip the line pass for the attractions for the entire group; a merchandise pack for the entire group; and all of the perks included with MDBP Fest VIP Lounge tickets. Diplo Presents MDBP Fest partners include: Rockstar Energy, Monaco Cocktail, Ciroc, Bulleit, and more. 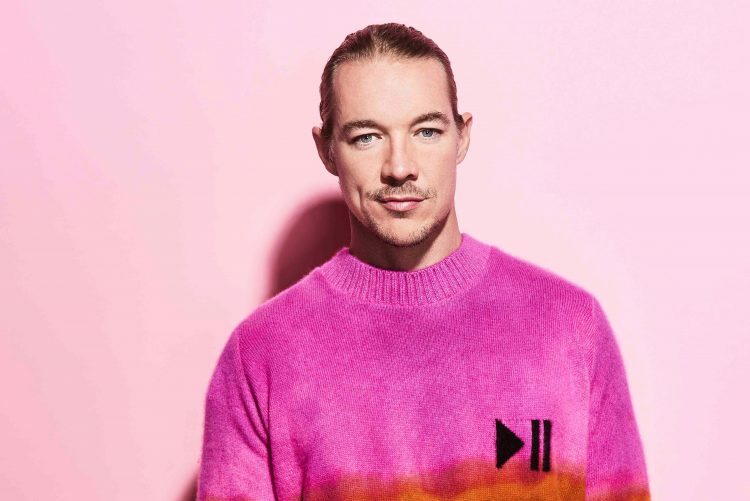 Diplo has joined forces with premier music festival production company Synergy Global Entertainment (SGE) to produce The Super Mega Ultra Giant Mad Decent Block Party Festival. Gillette Stadium hosts a multitude of music and sporting events and is the home stadium for both the NFL’s six-time Super Bowl Champion New England Patriots and Major League Soccer’s New England Revolution. Located at One Patriot Place in Foxborough, Mass., Gillette Stadium is about 30 miles southwest of downtown Boston, 20 miles northeast of downtown Providence, and a day trip from most of New England. Boston Logan International Airport (BOS), T.F. Green International Airport (PVD), and Boston’s South Station (train/bus) are easily accessible for those traveling from other parts of the U.S. and globe to attend the festival.